Mix audio, video and karaoke with ease and flexibility. This is our intro DJ software designed for beginner, intermediate DJs or simply people looking to have fun while mixing music. You have total control over the mix – you can either mix fully manual or you can let the software help you with the beat detection, matching and sync. 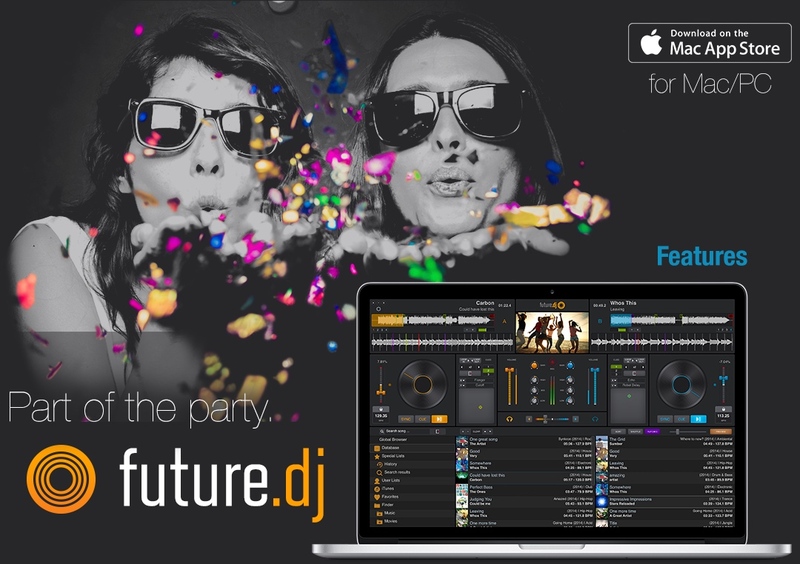 You can even let future.dj do the whole mix for you using the Auto-DJ feature. Either ways, future.dj is definitely a part of the party. The waveform graphic display gives you real time audio signal monitoring, information about the audio signal and the beat rhythm. Each deck has 2 waveforms: a full song waveform and a zoomed-in waveform. 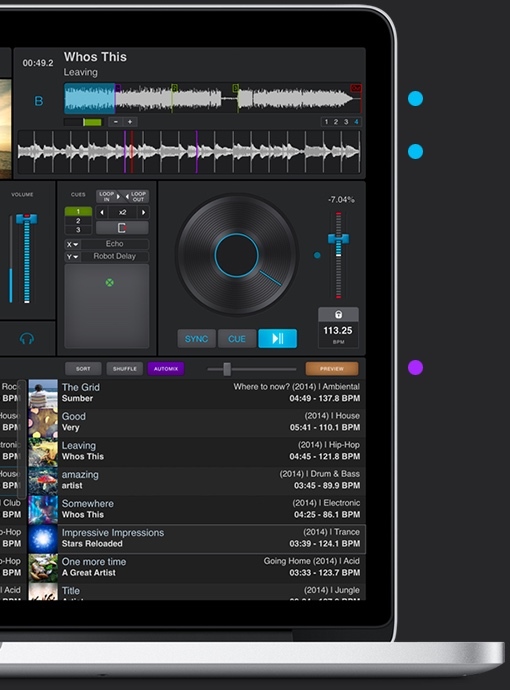 Mashup tracks, mix videos and make song transitions with the greatest of ease with this classic DJ setup (2-decks and mixer). Thanks to it’s intuitive design and flexible features, you will be able to achieve any level of mixing complexity. You can also sit back and Automix an entire party, simply by activating the powerful Automix function. 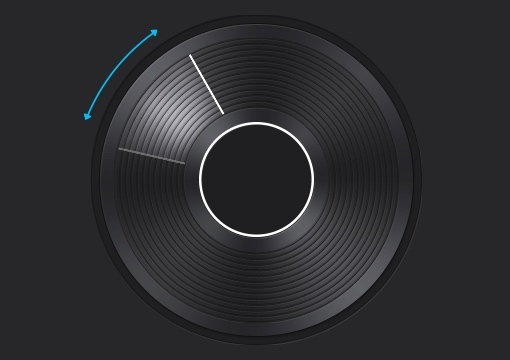 You will find the automatic BPM detection very precise allowing you to instantly sync and change between the 2 decks. The smart-sync function guarantees that when you press the Sync button the deck will be in perfect sync with the other one. 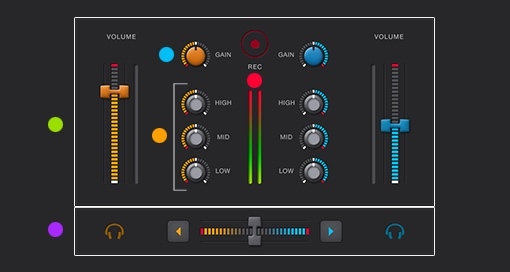 You can adjust the gain and equalizer (3 bands) or set the volume for each of the decks. A glance at the VU-meters allow you to view the signal strength. You can also monitor/pre-listen each of the decks in headphones. 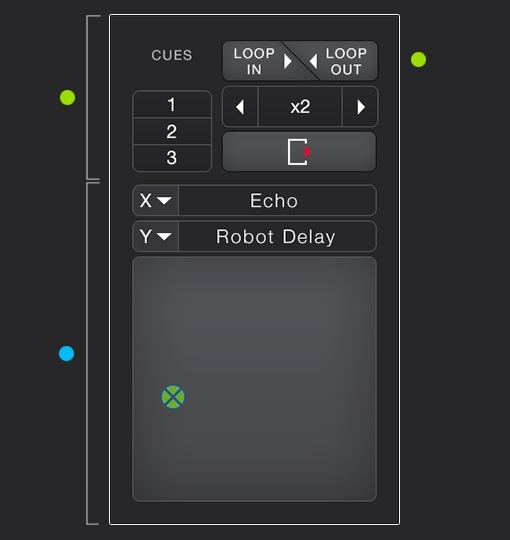 You can set up seamless loops instantly, by setting In and Out points. You can move the loop or make it shorter or longer on-the-fly. You can also set up to 3 instant cue-points (which act like bookmarks into the song). Apply and combine different audio effects (Cutoff, Flanger, Echo, Beat Waw, Reverb, Bit Crusher, Autopan, Robot Delay, Tremolo). This will definitely spice up your mix and bring it to whole new level. Display your video mixes to an external monitor, projector or TV. You can still see the video mix preview in the software interface itself. You are free to make real turntable by using the waveform displays, as well as the virtual jog-wheels. 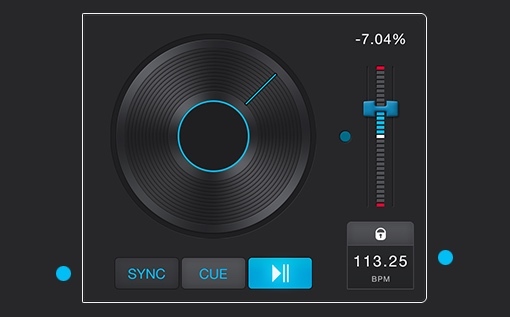 Depending on the speed of the drag and drop you can create a disk spin effect, scratch, reverse, play, brake, mute, fine-tune cue-points and even ‘reverse spin and play’ effect. There is a browser, a current-list and a side-list available for finding, organising and playing your tracks. 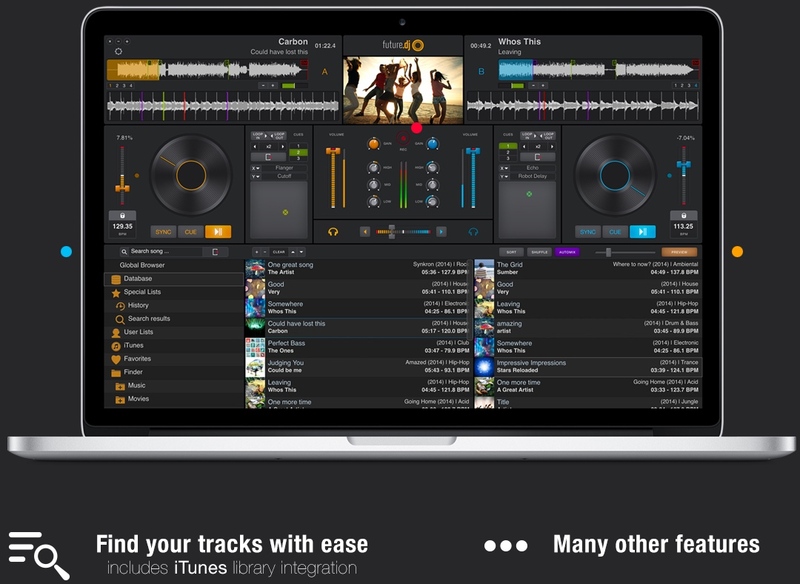 You can instantly search for tracks, preview and pre-analyze them. Most file formats are supported for audio, video and karaoke. The demo version may be used for 30 days for evaluation purposes only. It works only for 20 minutes per session but you can restart it (for as many times as you’d like to test). Like what you're seeing? Purchase right now!